Our company has been successful in winning appreciation from the clients as one of the most prominent names in supply of Zumba Classes. Zumba is both a dance and fitness class. It is based on salsa & latin dance moves. It allows people of any fitness or dance experience level to enjoy a fantastic workout. It is FUN, EASY & ENERGIZING. We are a top notch supplier of Zumba Classes. From our wide consignment, we are affianced in supplying Zumba Classes. Established in September 2016, Maximus is a result of extreme hardwork, detailed knowledge and immense experience of like minded, passionate people having an intense urge and deep interest in inspiring people to follow a Fitness lifestyle. We are a top-notch organization, engaged in providing Zumba Classes. Our reputed entity is engaged in supplying Zumba Classes. Banking on our enriched industry experience, we are able to supply Zumba Classes. Banking on our enriched industry experience, we are able to supply Children Zumba Classes. We are amongst the most reputed names in the industry, offering Zumba Classes. 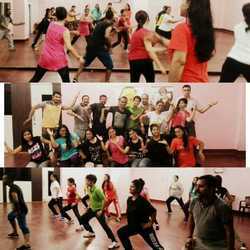 Zomba istbe type of fitness program, tbat is primarily achieved with Me combination of dance and aerobic movement. Our classes of zumba focusto build strength, stamina and also provide aid to improve posture and motion of every individual. Along with latin dance rhythm and energetic music, our well devoted instructor assist.